As previous years have come to a close I have usually had an idea of what I want my theme to be for the year to come. Not a resolution as such, but a theme that will guide my decisions and actions in a more positive way. This year was the year to say no and let it go, and past themes have included the year of saying yes, the year of raising my game and the year to let the pieces fall. But, for whatever reason I have really struggled to come up with a theme for 2017. Obviously, there are lots of things I want to achieve – personally, professionally and physically – but I think of these more as challenges that my 2017 mindset will help me to accomplish. But what should that be? I do not need to say yes or no, more or less often. I feel motivated at work, I have a good balance at home and don’t feel I need to step up or step back. I was considering making ‘show-up’ my theme. To make more effort to show-up to important events for my loved ones so they know that their life is important to me, but I think I am already ok at this. Invite me to your birthday drinks, book launch, wedding, kids party or over to your house for a cup of tea and a catch up and I will be there! However, maybe I could work on being there for people when they haven’t asked me outright to be. For example, my sister has turned up to almost every farmers’ market we have done without ever being asked to and when I see her it really makes my day. 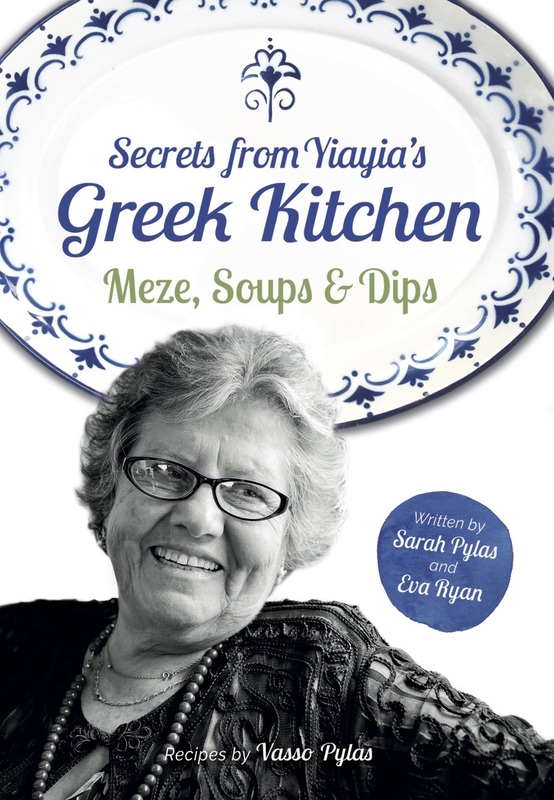 Ok so I know she’s really there for the tzatziki, but I am happy she only buys it from us. Her presence makes me feel loved, appreciated and supported. I’d like to pay more of that forward. But, after much umming and ahhing, ‘show-up’ didn’t feel like the right theme for me. I felt I needed something… bolder. One thing I have learnt this year is not to make assumptions. When I look back at my mistakes, many of these can be put down to assumptions I made about a situation, person or place and believed to be true based on the way I see the world. As I tried to make sense of something, my mistake was to assume that because I believed something or someone to be a certain way, it was fact. Of course, we are all wired differently and I think my assumptions have led to more problems than they have ever solved. So, I have decided that my theme for 2017 will be Don’t Make Assumptions. Not about people, situations, health, money or career. I am not going to label a brusque cashier, a dismissive colleague or friend who doesn’t respond to messages as rude. I am not going to assume an offhand comment has a bitchy undertone, or someone who does not buy a round as tight. I am going to keep an open mind, consider someone may be having a bad day or much bigger stuff going on that I don’t know about. I am not going to assume that it’s all about me and I hope that others will do me the same courtesy. I want to be open to new people, fresh opportunities, healthier habits and differing opinions. I don’t want to be swayed by other people’s judgements, but more importantly, I don’t want to be swayed by my own. Thanks Suzanne. I’m still not really committed to this theme for some reason. I know I need to stop making assumptions, but it doesn’t seem positive enough! I am thinking of changing my theme to ‘see the beauty’ or ‘keep an open mind’… Look forward to reading yours!